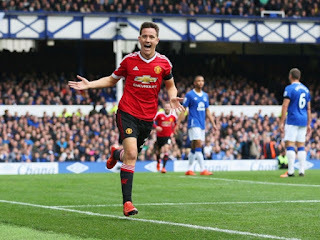 Louis van Gaal doesn't like to single out individual players for praise, but he made a point of paying tribute to Ander Herrera after his barnstorming performance at Goodison Park on Sunday. The former Athletic Bilbao man scored one and assisted one, and Van Gaal, who hasn't always favoured him, seems to be a convert. Herrera has always seemed such a natural fit for Manchester United; dynamic, energetic, technically adept, but above all, a worker. He's not a No. 10 in the traditional sense, all flair and fancy touches, he's harder than that. And with him at the top of a triangle with Morgan Schneiderlin and Bastian Schweinsteiger, United look strong. In five games in the English Premier League and Champions League this campaign, Herrera has three goals and two assists. 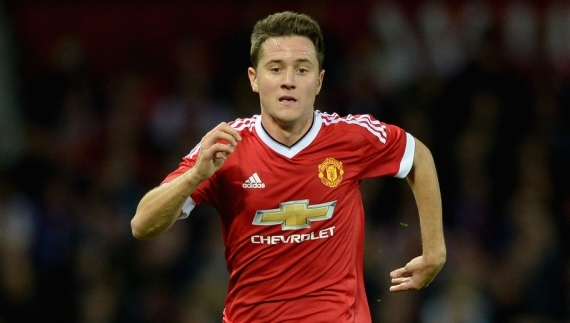 With the form he's in, Herrera looks certain to start against arch-rivals Manchester City on Sunday. The well mannered Spaniard has found his game time limited this season but instead of letting it be a source of frustration, he understands that things are different at Old Trafford in comparison to Athletic Bilbao and Real Zaragoza. Competition for places is fierce. When players like Juan Mata and Herrera can’t get regular minutes, you realise the strength and depth the squad has. In recent games, he has been given his opportunity by Louis van Gaal and taken it with both hands. Three goals in his last three starts are a testament to how he has maintained focus in training despite a lack of minutes. He has never complained, never moaned and never stopped working for his chances to come. When they did, he couldn’t have done much more with them. In a world full of footballers with short term visions and combustible egos, Herrera’s mellow calm is refreshing. He’s endured a slow start to his career in Manchester thanks to a succession of injuries and a struggle for game time but having proved to van Gaal with his recent performances that he more than deserves to be in his starting XI, his career at Old Trafford looks to have had the fire lit underneath it. Last season, Herrera was ostracised from the team for an extended period but forced his way back into it through hard work and his performances. The same has happened this year but although there is increased competition, Herrera is happy to have those new players in the squad. So far this season, Herrera’s performances in the No.10 role have been head and shoulders above what any other player has been able to offer in the position, yet his place in the team is far from guaranteed. Fans want to see that change and I’m sure Herrera does as well. When fit, Herrera needs to be one of the first names on United’s team-sheet and that trend needs to start with this weekend’s mammoth derby clash against Manchester City. 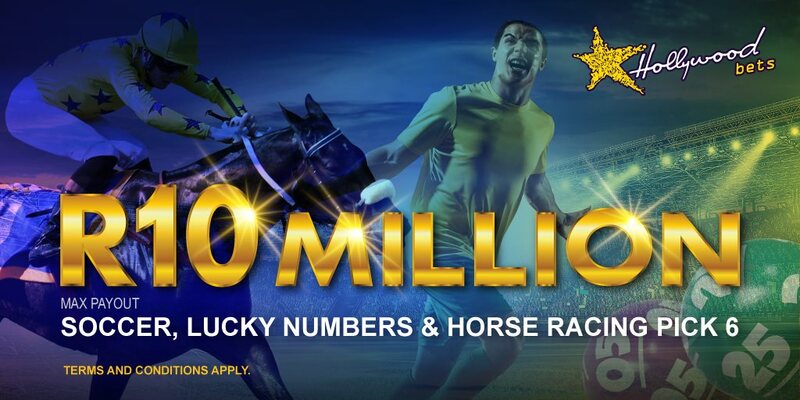 WIN the Ultimate Fan Trip to watch Liverpool play Man United LIVE at Anfield! The 25-year-old midfielder was born in Bilbao but developed his talent in the Real Zaragoza academy – where his father worked as technical secretary after retiring from playing – before making his debut in the Zaragoza first team in the 2008-09 season, helping them secure the promotion to the top flight even though he was still a teenager. Herrera enjoyed two productive campaigns at Zaragoza but was sold to Athletic Bilbao in the summer of 2011 for around €8.5m (£6.1m) to help the club's financial struggles. The Spaniard continued his meteoric development with the Basque side before United manager Louis van Gaal agreed to meet his €36m release clause to make him his first addition of the summer in 2014. And even though he had a slow start in the Premier League, Herrera became a crucial member of the team during the second part of the campaign, receiving the club's player of the month award in February and April, while scoring eight goals. Despite not being able to break into Spain's world-dominating senior squad, Herrera is one of the more accomplished players to represent the country at youth level. He has made 20 appearances across Spain's under-20, under-21 and under-23 teams, scoring seven international goals in the process. He scored a vital header in the final of the under-21 European Championships in 2011, but now 24 years old, he has failed to springboard his way into the full national side.